Err on the side of square with More Square Bedsides, Dressers and Servers. Their characteristic block legs and square tops are ever so slightly offset by sloping accents. 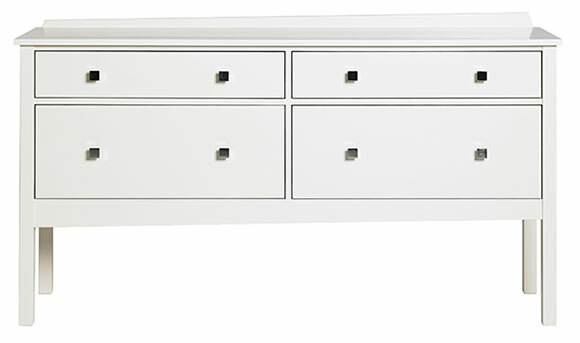 Plenty of clearance beneath this 4 Drawer Server adds light to your room without cutting down on storage space. Shown in Hedgehog. Available in chrome, brushed silver or natural hardware.